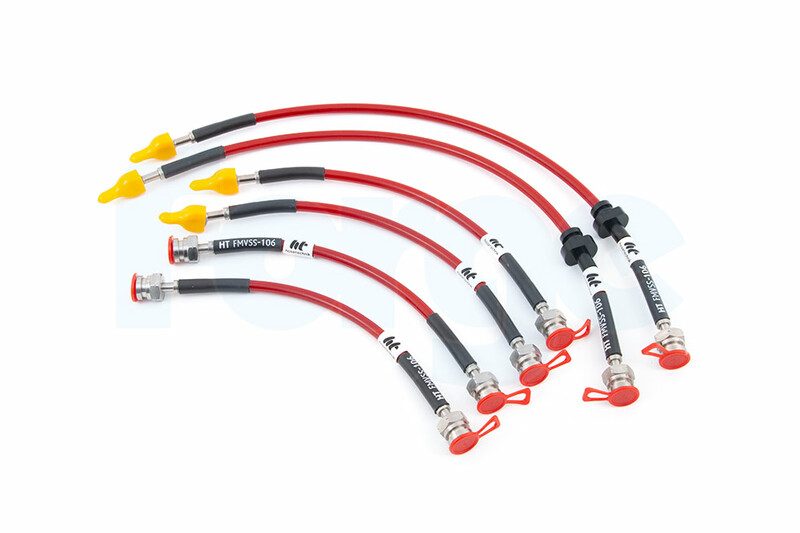 A set of 6 ultra-high performance brake lines for the Suzuki Swift 1.4 Turbo. These are a direct replacement/upgrade for the OEM brake line set and require no further modifications to fit. 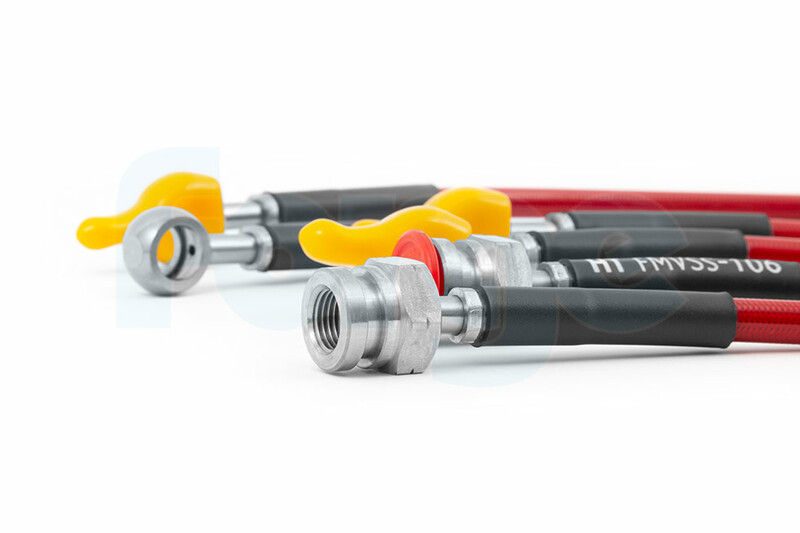 Hosetechnik lines are hand-finished with Teflon-lined braided stainless steel bodies and custom-machined stainless fittings, resulting in a brake hose that will perform under the most extreme and harsh conditions, whilst still looking good and performing at the highest level. 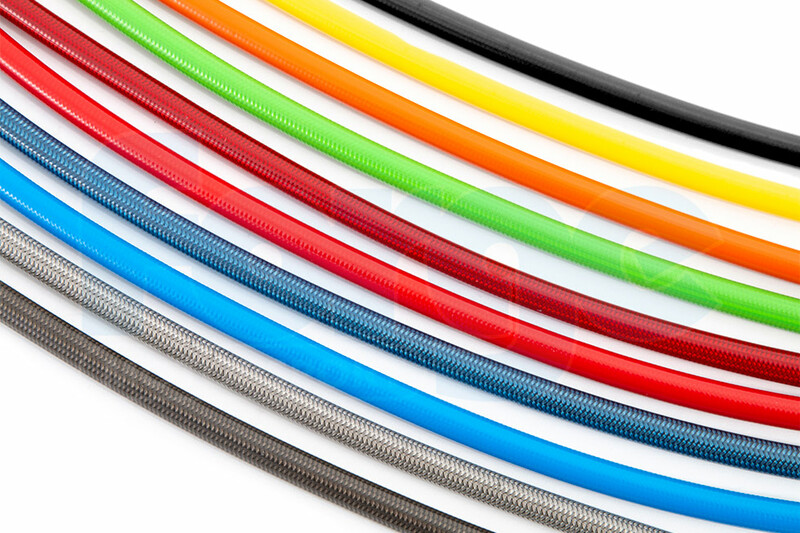 They are available in no less than 12 hard-wearing PVC sleeve colours, which look amazing, and protect against dirt and water ingress. These hoses meet, or exceed, all current FMV. ADR, LTSA, DOT and TUV legislation, making these upgrades totally legal in any market.